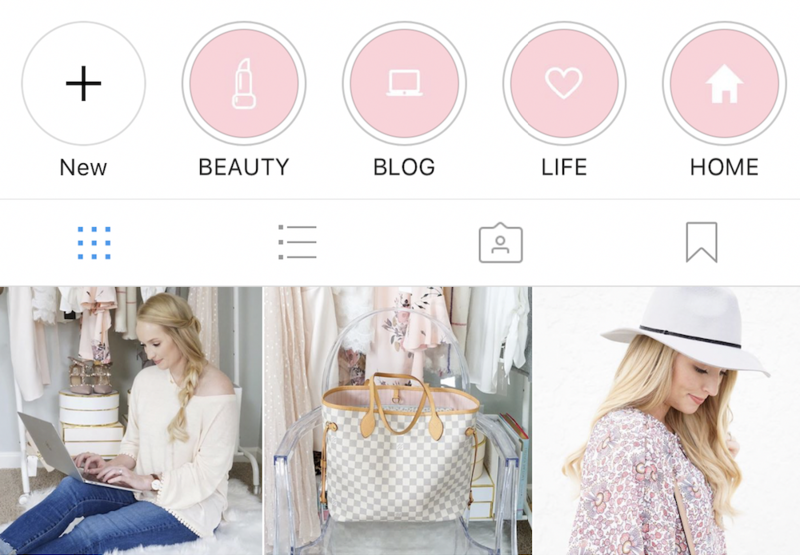 For influencers and bloggers, Instagram is often a key tool for interacting with their audience and promoting content. However, most find it difficult to grow a dedicated following or even where to start. If this sounds like you, read on to discover five simple ways to build your Instagram following. A simple but effective way to keep your audience interested in your profile is to use the Instagram stories feature and add it as a highlight to your profile. After creating a story, head to your profile and click the “New” button under your profile introduction, then save available clips to your profile to be viewed at any time. A simple way to organize your highlights is by genre: events, travel, kids, etc. This feature allows followers (and potential followers!) to check out some of your material and see what you’re about. A great way to acquire new followers is to post items on your Instagram that users will want to repost. Funny quotes or inspiring photographs that will receive a lot of likes, comments, and reposts exposes your content to a wider audience. Ensure you add some sort of watermark or logo on your content so that you receive credit for the post and users are redirected your way. Not everyone is a professional photographer, but because Instagram is a visual medium, it is vital to have some basic photography skills. Grainy, dark, or off-colored photographs are quickly scrolled over and can appear as if you don’t know what you’re doing or talking about. Brush up on your photography skills, take an online photography course, or consider upgrading your phone. Interacting with accounts with similar content helps expose Instagram users to your profile. Comment and like photographs and view stories of accounts in a related genre to grab the attention of users that would also be interested in your content. People will often look up their current location or fantasy vacation on Instagram to get ideas of what to do or have something to daydream about. Adding a geotag to your Instagram photos or stories exposes your content to an entirely new audience because you will be included in the search results or stories within Instagram for that location. Geotags/locations can be added when posting a new photo, as a sticker in your story, or as a hashtag.